Oldest Computer Desktop/Laptop you still have? Discussion in 'Off Topic' started by jack53, Mar 22, 2016. Mine? My first notebook and desktop, 1985 Tandy 600 - they still work too! 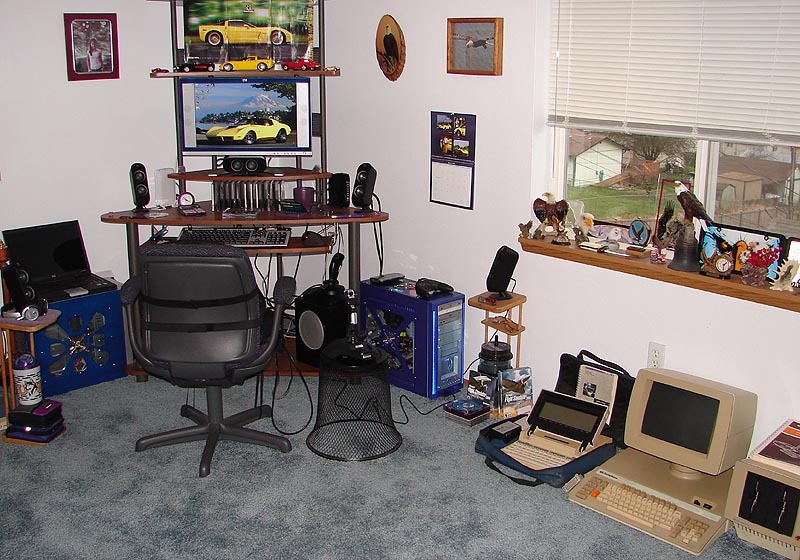 This is from 2006 of my computer room... 2 laptops, 2 desktops, the two old ones. 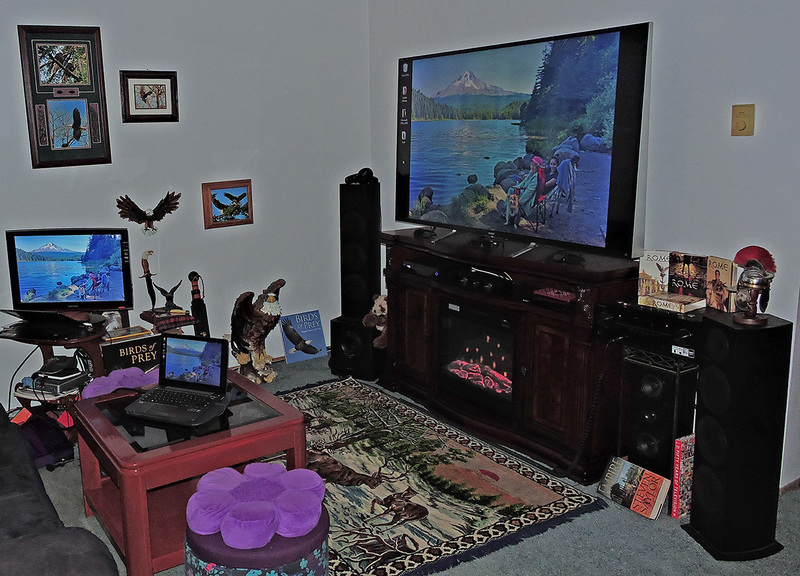 Current high tech room, 2 newer Lenovo's running into bigger 26" & 70" screens. ...and some of my many laptop builds, paint jobs are in my sig link below. radji, Kaze No Tamashii and HTWingNut like this. I think my oldest system would be my 400MHz PowerBook G4. I used to have some older systems, but I got rid of them when I moved. Still daily using my T5010 I got like 6 years ago. Still have and use my Inspiron 5100 from 2003. It's the only machine I own that can run my old Star Trek games. Elite Force and Elite Force 2? I still have my Radio Shack MC-10 somewhere, unless it got pitched or lost when I moved six months ago, and it was the first PC I ever owned. I used to keep all my old stuff too, until it became a problem, lol. And I realized that it was nostalgia only and would never touch them again. 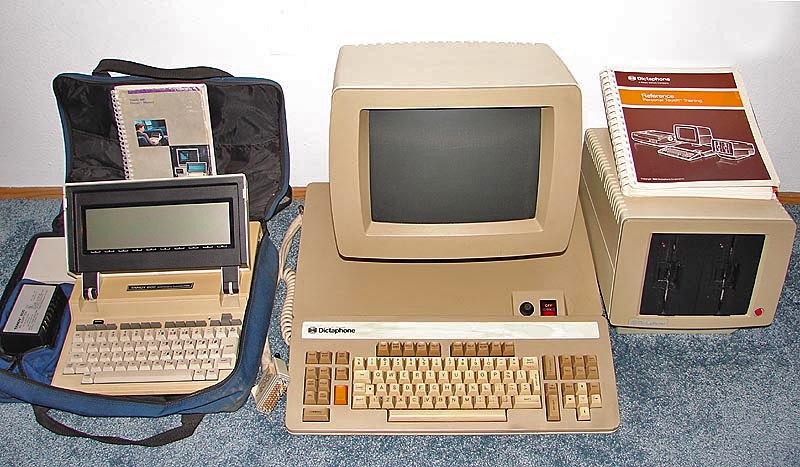 I still have my Radio Shack MC-10 somewhere, unless it got pitched or lost when I moved six months ago, and it was the first PC I ever owned. Ha! That is two years older than my Tandy 600. Good Old Days! The Tandy 600 sold for around $2,000 in 1985... expensive back then.